152km./h. No, not the speed of a glider ,this time, but hurricane- strong- wind! A vicious, fast South Westerly , the worst in 23 years, raced over Holland and damaged a lot on Monday. 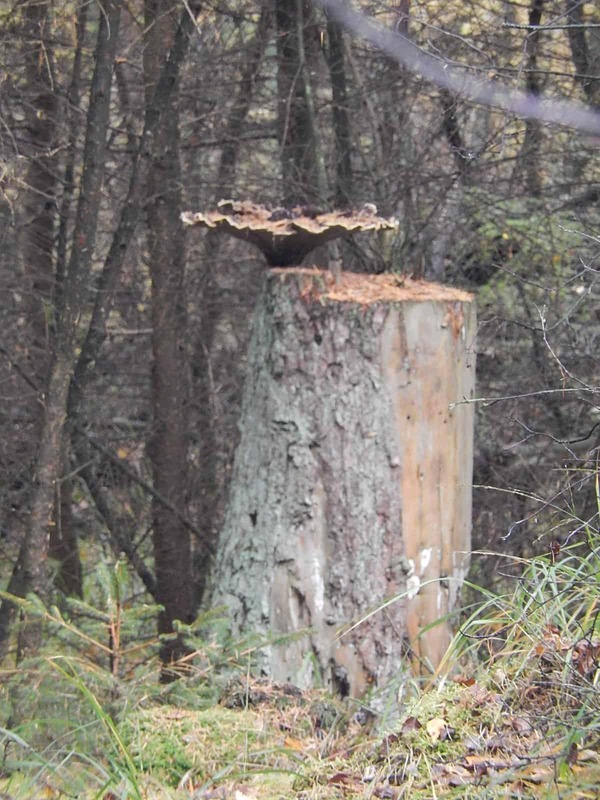 ; balance at this stage 95 million Euro! And this will increase! We woke up that morning with a CODE RED warning. 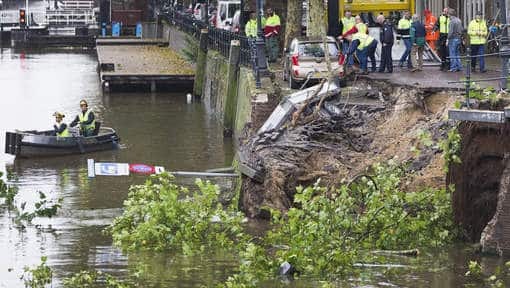 Still it cost the life of 2 people, one female 21 year old German tourist killed by a falling tree in the heart of Amsterdam, just before noon, when the gusty wind up to 141 km./h. was on it’s worst, very sad. 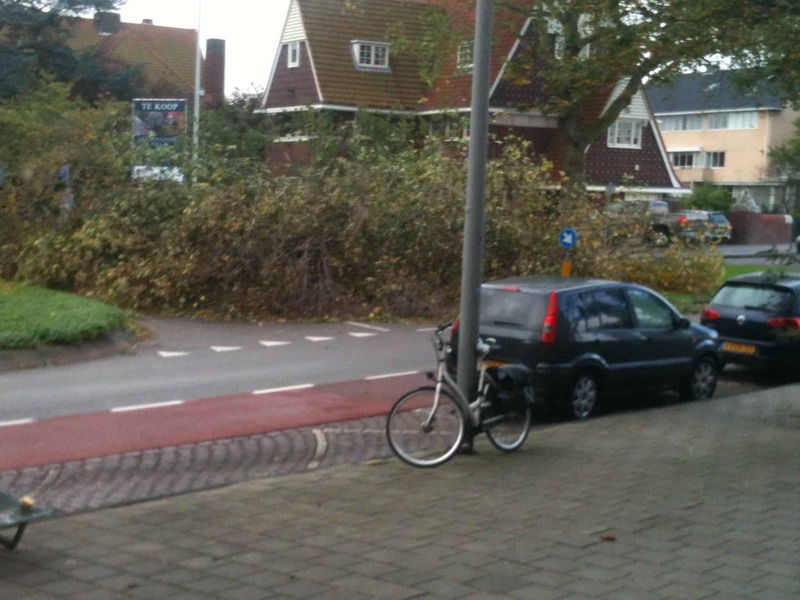 And one more in the East where a young 22 year old male got a branch of a tree on his head driving his bike. A lot of injured people [ at least 25] as well. Trains , several planes [ about 50 departing-flights were cancelled but Schiphol could keep open 2 runways] and boats stopped at noon and trucks were blown from the highway’s up North. Groningen and Amsterdam , both badly hit, advised people to stay inside. At 13.40 it slowed down, FINALLY, I do not live too far from the coast and it was BAD here! Worse even on the Wadden Isles up North, with Bft.12 ; 151km./h. [Vlieland] and 152 km. 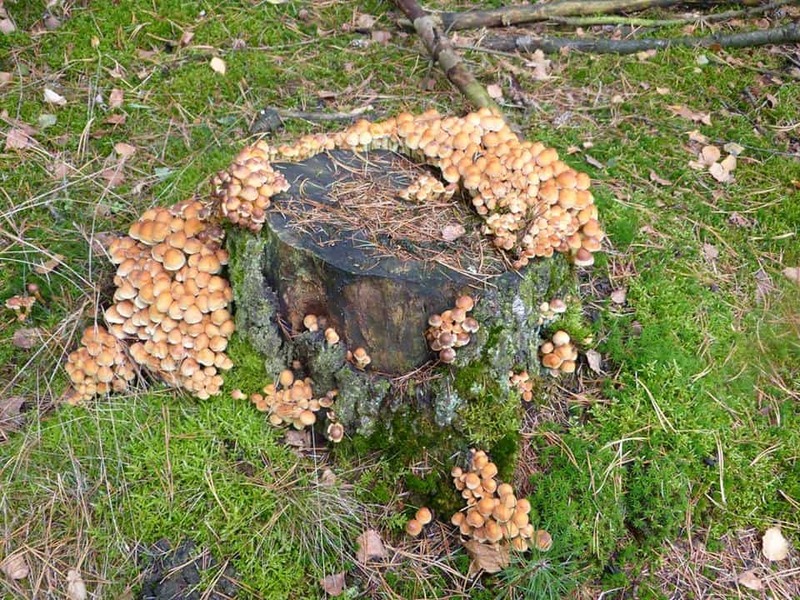 [Lauwersoog] , was measured and that NEVER happened in autumn in Dutch history. Around 3, the wind slowed down there as well. Pffft…. Churchilllaan in Amsterdam , where the most beautiful old and huge tree collapsed blocking 2 important streets. The canals in Amsterdam where we took a lot of our friends. I tried to make pictures from the normally friendly calm canal in front of my house. The water was “flying” over the “waves ” even with white/foam tops, never saw that before since I live here, even not in 2007 when we had Bft. 11 here as well. Interesting! But ……I was blown backwards, as the wind over the big open polder, was very strong . Elke Fuglsang [OLC and SoaringCafe] and Helge Zembold [Segelfliegen Magazine] have translated the book “Sky full of heat” from Sebastian Kawa, in German. They even created a special FB-site for fans and,….you can even ask whatever you always wanted to know already from Sebastian on that site and he will answer you . An interesting wave camp in Czech Rep at KRNOV airfield. On the OLC I noticed some nice flights by Radek Krejcirik in his Discus 2; 813 km. and one day later 777 km. The camp , also visited by some German pilots ,started on the 19th and they nearly flew every day, with on some days good height and golden badges, but also long distance flights as Radek did. This is an annual event at Krnov and on their site you can find the news from 2009, 10 -11 -and 12 as well. You surely remember that young Radek finished on spot 3 overall in the Uvalde WGC with 10.526 points. 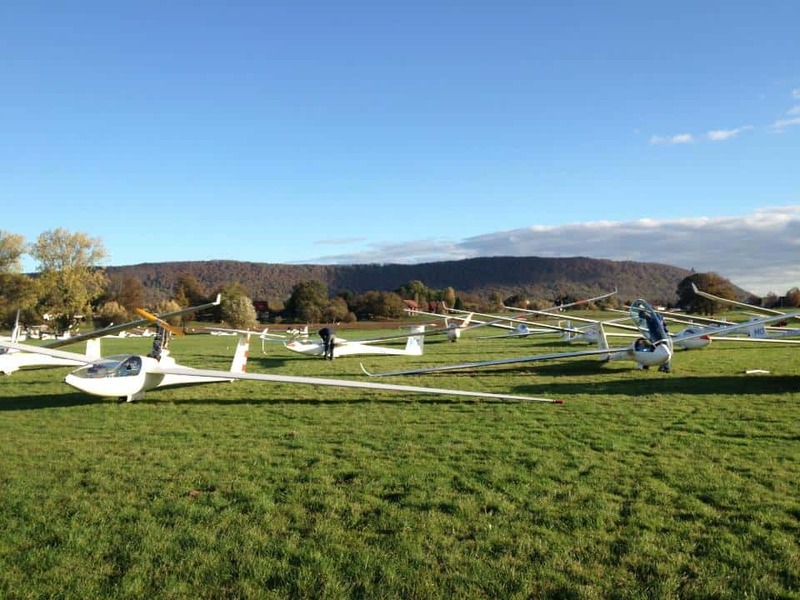 Some Dutch and Belgium pilots travelled over the border to Germany to enjoy RIDGE soaring. No ridge soaring in our flat as a pancake country, only a bit of dune soaring in October, so Porta Westfalica was the place to be/ to go to. Ready to go and racing the ridges from Porta. My Belgium friends shared a link to their pictures and videos from Porta by Niel Deijgers , just have a look, great stuff. Good to see the early-season enthusiasm in NZ already. Nice flights up to 515 km from Paraparaumi, Springfield, Maramata and last but certainly not least Omarama. Always love the Omarama picture/advertisement in Gliding International. The November-December issue just dropped on my door mat. 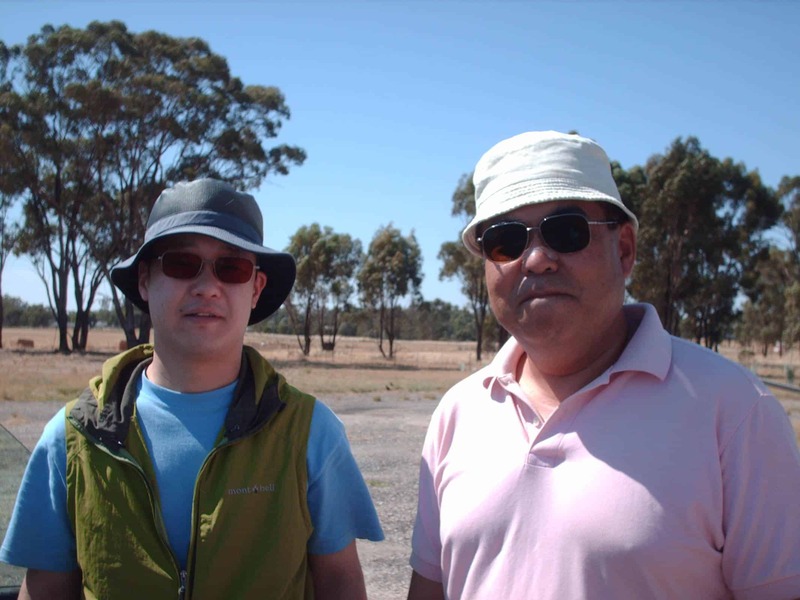 —-gliding in Moroco with a nice interview from Markus Geisen, [ who flew in the far past with us in Tocumwal together with the Wiesenthal family] with Bernd Dolba, who not only flies in Kiripotib, but also from Ouarzate. 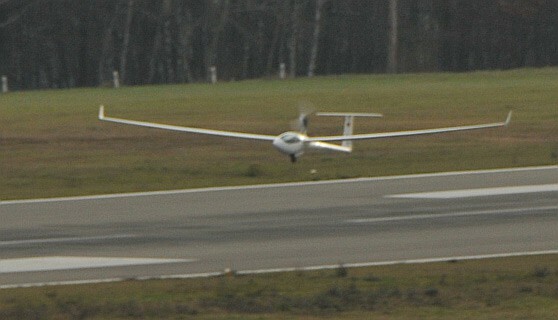 Nice to see Markus is the German Correspondent for Gliding International. —-why placed the air forces of Australia the USA and Indonesia orders for 20 DG 1001 gliders? by Aldo Cernezzi. —–the soaring opportunity of a life time…….flying a glider over the highest mountains in the world, including the very first ever flight over the Mount Everest . An expedition with Sebastian Kawa, who invites other adventurous glider pilots to join him in November and December 2013.More about this Himalayan gliding project in GI. As always fantastic pictures from Maria, this time her double spread picture is from Baude Litt turning final at Perry this year. Just back from Amsterdam, so a bit later than normal. A miracle that all trains were driving again after the storm, COMPLIMENTS to the NS, but you could see quite a lot of damage and still a lot of delay but luckily not on my track. on Wednesday October 30 2013! And,….the winners are….!? 159 km./h. on day 10!!! Of course after arriving home I straight away checked, what had happened in Kingaroy, as I found it an interesting competition and was eager to see who had won. Thank you to Mandy and the GFA site for keeping us informed over the 10 out of 11 days, with some long days with nice long tasks just over 500 km. After some rain it was cold even in Australia. With Ben and Adam and Matthew and more. WINNER and with such a marge [755 points] that you can call him the TRUE CHAMPION; Greg Beecroft from Western Australia in his LS 8 with 8783 points. Runner up Matt Gage from Victoria with 8028 points also in LS 8. The last days they had to fly in soarable windows with a 2.30 AAT on day 8 and 9 and a 269 km. 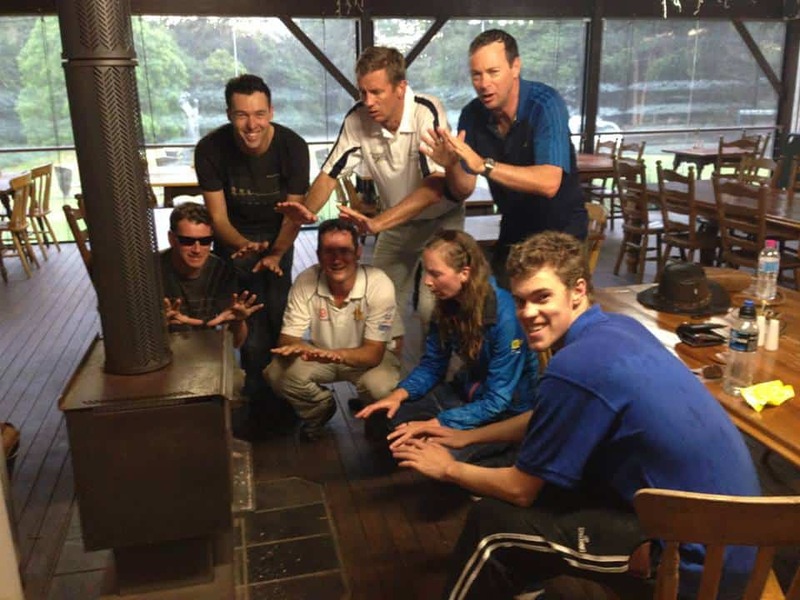 task on day 10 ,the last day and won by ……Greg with a speed of 128 km./h.! Very pleased to see that Matthew [Scutter] won the very strong 15 m. class and is 15 m. CHAMPION from Australia. He had to work for it, it was not so easy as for Greg in his class, but he did well, very well. Mac Ichikawa, [winning the last day 269 km. with a speed of 146. 3 km./h.] Pete Temple [ winning day 8 2.30 AAT] and Peter Trotter [ winning day 8 a 2.30 AAT] were in the race as well and they are all WGC pilots. Matthew fought himself after 5 days to spot 1 overall and stayed there till day 10. Now he is not a real kilometre-eater, but also a great and still young NATIONAL CHAMPION. Like that! With Matthew to the left and Adam to the right. Would Arne from Denmark be the winner in Australia? No it did not happen in this combined open/18m. class. He was on 7 days the over all leader, but in the end during the AAT’s, he lost points and the Aussie mates passed him. CHAMPION is Tom Claffey, [8566 points] who started on day 1 with this top position and finished with it as well. Butch [John Buchanan ] won the 2.30 AAT from day 8, Arne was on spot 10.On day 9 with a 2.15 AAT, Arne was so unlucky to out land, but you have to have that experience in Australia as well when you fly there, such nice big paddocks [sorry Arne, that experience would have been better during practise ] but it cost him nearly 400 points and he dropped from 1 overall to 3. On the last day they flew over 339 km. and look at the speed: 159 km. /h!!!! for Tom . Some pilots started at 11.32 the winner from the day Tom started at 12.45!! Good “old” Butch, who already flew our glider in the 1985 Worlds in Rieti, was the runner up with 8430 points and Arne was on spot 3 with 8253 points. Congratulations to ALL pilots , specially the CHAMPIONS! As said a great competition even following it from home! 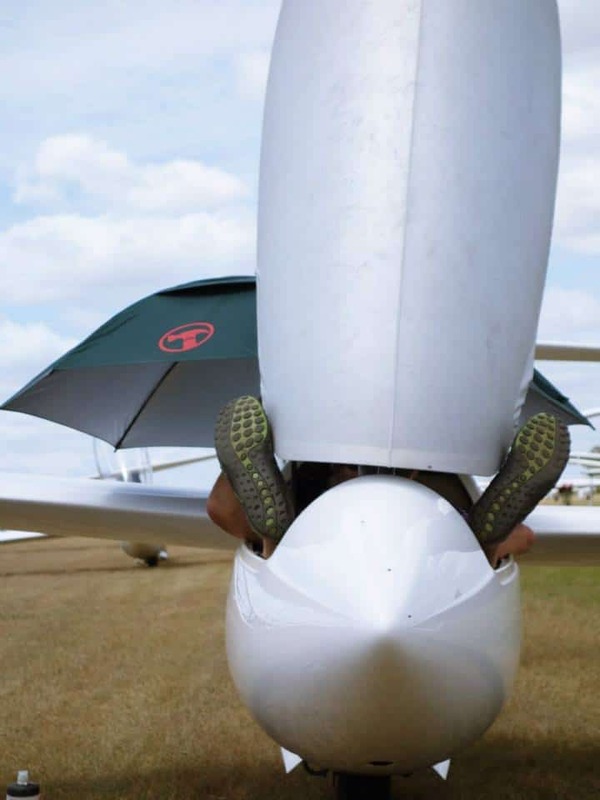 “The Queensland drought produced excellent soaring conditions and I think every pilot spent more time in the cockpit than driving to the event, which is not always the case. The competition featured 10 days of fast flying with conditions ranging from low and blue to wave and fast Cu days. The tasks were well set to make the best use of the conditions and to challenge the pilots. Scores came out very quickly, and the fleet was launched in 75 mins with efficient use of only 4 tugs. What do you want more!? Good old Ingo flew in his Discus 681 km. last Friday from Tocumwal and topped the OLC list that day. I liked the ” Ingo jokes” during briefing in Kingaroy , he surely appreciates them as well and not participating in comps anymore ,he is “still a bit there” on Nationals, he nearly always won. “Ingo Renner can rig a Blanik in 5 minutes”. 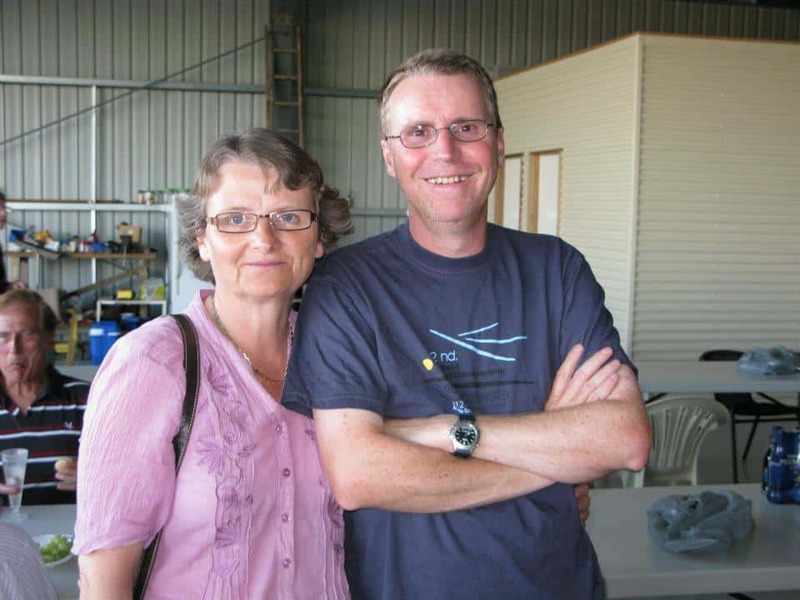 Ingo is still very much involved with gliding in Tocumwal and is the CFI from the Southern Riverina Gliding Club. Last night we changed from 3 AM into 2 AM , so wintertime is back with huge showers and a rough wind changing into a real autumn-storm tomorrow. [bft.10 on the coastal areas]. Not looking forward to that, as you know I do not like too much wind! Happy pilots in Kingaroy, “scared to death people” in the Blue Mountain areas!! This early hot spring-weather creates great circumstances for pilots, but unfortunately also disaster for others in Australia!! It’s weird to write about this great weather for soaring with a good competition as a result , when more than 1000 km. South, fires are” roaring like hell and destroying houses and nature including ANIMALS” . Seeing Australia as my second home country, it hurts to see what happens around the town of Sydney and those gorgeous Blue Mountains. Looking back at week 1 in word and picture! “We only have 4 tugs, one is U/S and one has gone back home to DDSC for the weekend“. “All home safe. Great interest in how A1 managed to blitz the field and come home so fast. 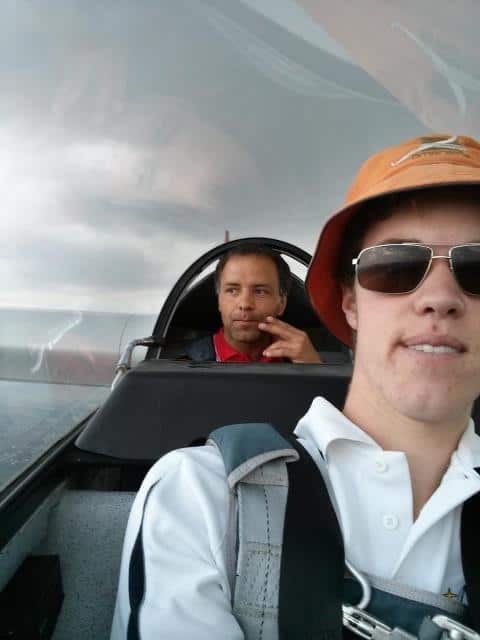 It seems to be something like Stay high, Fly fast and don’t turn.That is he didn’t turn for 70+km on the first leg.” about day 5 winner , junior pilot Matthew Scutter. These are all sentences I picked up from the GFA- FB-site to show you the atmosphere of week 1 in Kingaroy, with pictures presented by the GFA. It says more than stories, is n’t it? It also shows how smooth the launching is, how good the meteo and how involved all pilots are. ALL pilots had just over 500 km. With NNE winds 10kts and 28C at Kingaroy, NO high cloud in the task area, that task should be possible. 25C was needed for launch height (4500′ QNH) 28C will give 8000′ also not too bad and “Getting better in coming days.” even better, though pretty tiring. Early starts from just over 11 onwards and indeed most pilots finished. Matthew Scutter who is “HOT” won again! Speed over 502 km. 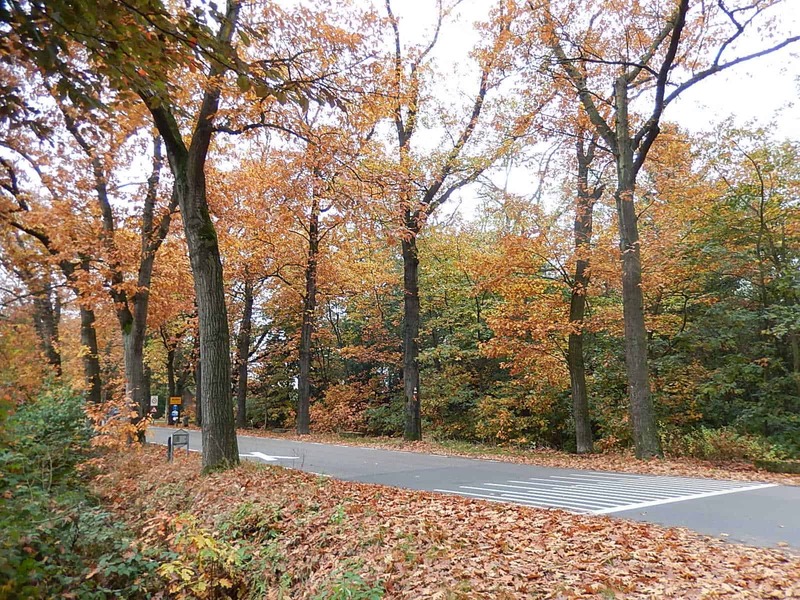 was 129.3 km./h. Matthew spend his Aussie winter in our European summer and flew the JWGC in that time, so enough experience over the last months for him and it SHOWS. Good on him. CHAPEAU in this class for Steve McMahon ,who finished after 5.50PM in his Mosquito, 86 km./h. ,but he WAS HOME!!! Great effort! Matthew with Sebastian Kawa during his check flight in Poland. 136.5 km.h over 509 km. in 18m./open was n’t bad either. Ian Graigie in the JS 1 JET was runner up , just before young Ben Loxton who is really showing what talent he is/has. Daily winner;….with 136. 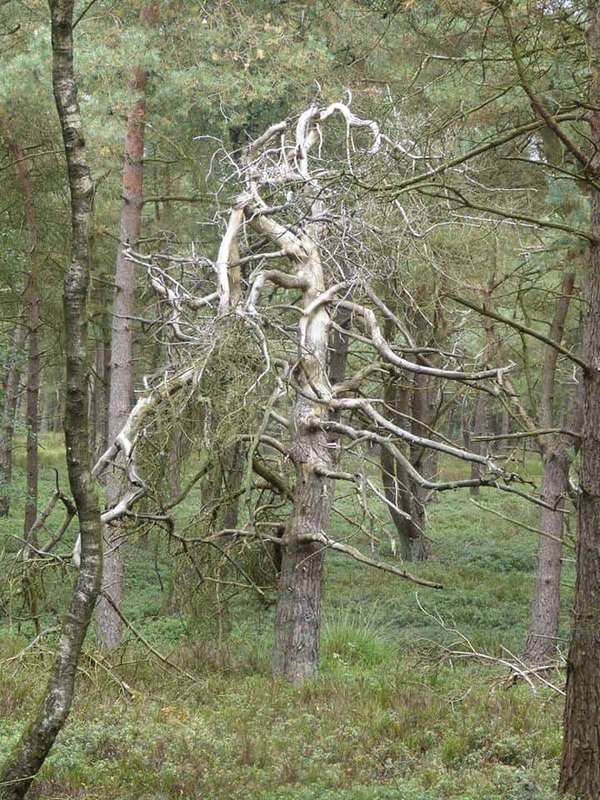 8 km./h was Arne from Denmark. Good on him! 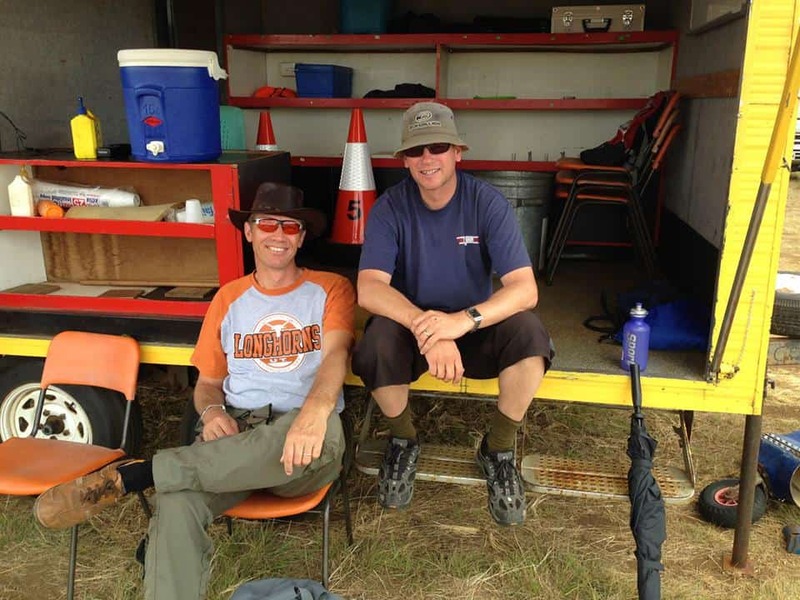 Arne and Steve Wallace in Kingaroy. 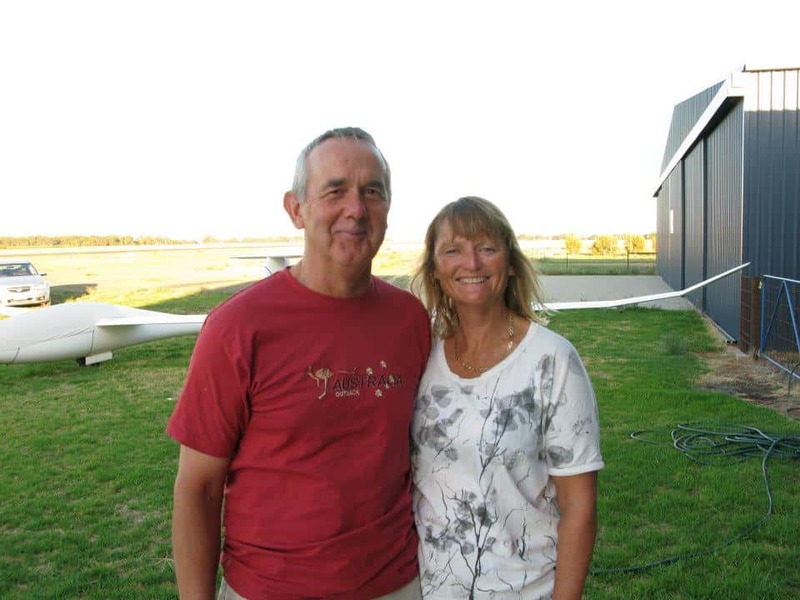 In St class the 5th place was for NZ pilot Alan Belworthy , flying a DISCUS, member from the Tauranga Gliding Club. 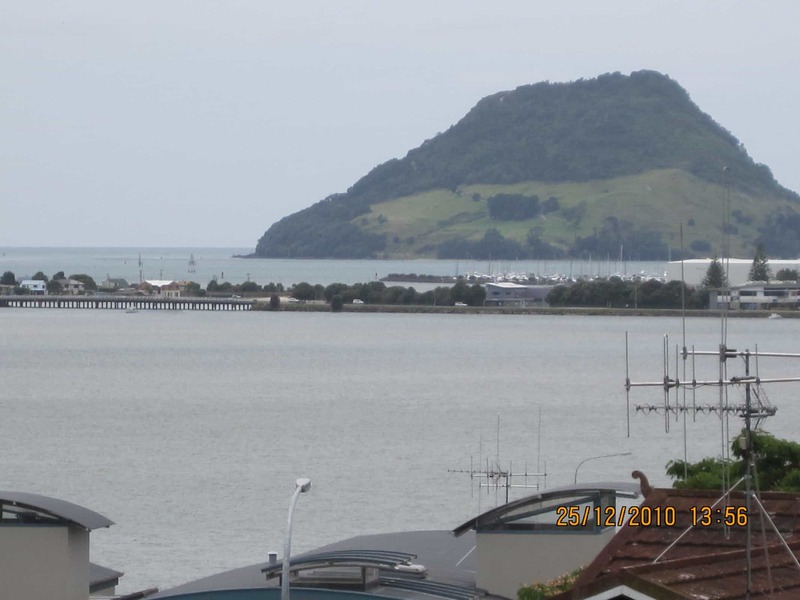 Visited the club when I visited NZ in 2010, loved Tauranga and still love the view on Mount Mounganui. She is on the bottom of the scores , but I am sure she loves every minute of her time in Kingaroy; Annemiek from Holland. She uses nearly 4 hours, where others only use 2.24 but, who cares she sees more! Where others have 125 km./h. in her class, she has 71.8. BUT…. she flew and finished over 405, 316 and 319. On day 6 she managed to fly 462 km. from the set 505. On day 7 she only missed out on about 20 k. A pity! She even was on spot 3 on the WORLD WIDE OLC list on October 19!And I am sure she learned a lot! First time flying in Australia is pretty impressive. On Tuesday, another day in soaring-competition-paradise, blue though, with 438 k in 18m/open class and remarkable, about ONE hour difference in start times. David Jansen started 50 minutes later then the early birds, BUT , won the day! Another 1000 points in HIS pocket! From the last spot [ 20] in the combined 18m/open on day 1, he is on spot 8 overall now! Arne is still in the lead, but Tom is “pushing”. In St. class day 7 was a prey for Greg again. He leads the overall scores with more than 400 points. 376 km. for the 15 m. pilots and this is for sure not Lisa’s competition. She outlanded and lost more points on her concurrent ‘s. A pity as I know she is good, but that’s soaring, as we all know. One good thing; Her husband Peter won the day . Matthew lost 200 points on Peter, so not a flash day for him either. Who will receive the prizes as national champion, on Friday evening during the presentation dinner? Only 3 days to go, exciting!!!! A very tragic accident in Belgium with a Pilatus PC 6 Turbo Porter, killed all 10 para-jumpers and the pilot! Amongst them one young lady from 21 , who went up for the first time, as a birthday present. Some tried to save themselves by jumping, as parachutes were found open, but they were still too low. Very sad! RIP!!! On Wednesday October 23 2013, very early in the morning, as I am off to the S. of Holland, so no time to see what happened today in Kingaroy. You will be able to read that on Sunday or look at www.soaringspot for the preliminary scores. The day Dieter Dundee has arrived in Tocumwal. 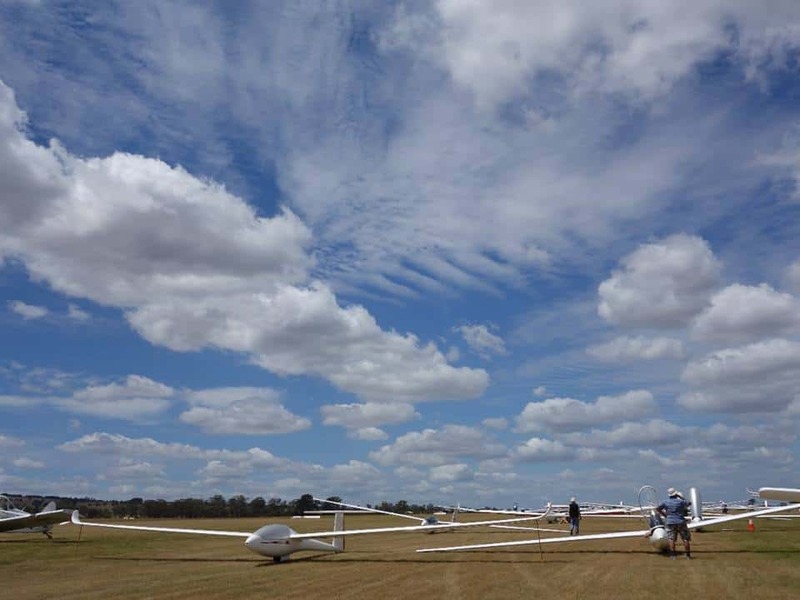 11 Days of soaring are planned and supposed to give us a new Aussie champion in each class during the Multi Class Nationals in Kingaroy and they expected and hoped for good weather for each day. Till now that worked out well, except for Friday!!! Thursday was a new day with new chances for all. 398 in Standard class was set and Greg Beecroft won the day with a speed of 96.2 km./h. Greg is in top form winning all 3 days and of course topping the overall scores! On day 3 , a blue day, Annemieks/Adams W3 , experienced a real paddock outlanding as well. In 15 m. Mac won day 2 and 3 [280 km] and you can see he knows the weather and area as he flies a LOT in Australia , mostly in Narromine, but he follows sometimes the weather, that’s why I met him last year again in Tocumwal, where he flew in the far past every year. Even organised competitions in Tocumwal for other Japanese pilots. Mac is after 3 days 2d behind Pete Temple in the overall scores. Mac here with one of his mates in Tocumwal in January. In 18m./open Arne won the day. As a Danish guest and not familiar with this area, he flew the 371 km with a speed of 122 km./h. AND after 3 days he is on top of the “pack”.Good on him! The airfield and the beautiful colours from Australia. ” Vigilance and Airmanship. He made the point that Safety and Risk Management should be given priority over Results. Something we all can/should listen and live to!!! It was not all hurray yesterday on flying day 4. The incoming sea-breeze , announced at briefing, spoiled for some the end of the day. 26C forecast today slightly warmer in the task area. Cus throughout the task area climbs should be 3-4kts average. Overnight storms did not deposit much rain in the task area. In St. class Greg had his 4th win of the day , he seems unbeatable but still a few days to go! 315 km. with a speed of 125 km./h in the LS 8 is just good! It was Matthew Scutters day in 15 m. class finishing with a speed of 138.5 km./h over 315 km. in his DISCUS 2. Not bad either! “Poor” Lisa lost some points by being slower. Sea breeze?? So did Craig Collings, a pity he did so well, now he dropped from 5 to 10 overall, but as said, it’s not over yet. In 18m./open it was David Jansen who “raced” home with 141.6 km./h over 407 km. His second win after a bad start and ready to go up and climbing the scoring list. On spot 11 now and Arne and Tom still in the lead. TODAY; 400 km in 18m./open and preliminary it looks like David won again. In 15 m. 398 km and here it looks like a “replay” as well, as Matthew is on top at the moment but all scores are not there yet. In St. class ….no not Greg winning today it looks he will be 4th. Not so far from Kingaroy to the South extreme fires have ruined already about 100 houses in the outskirts of Sydney. On TV I saw that a layer of black smoke hung over the Opera House, but the wind turned and it cleared that area again. Due to high temperatures and a strong wind these fires started early in the season. NOT good! 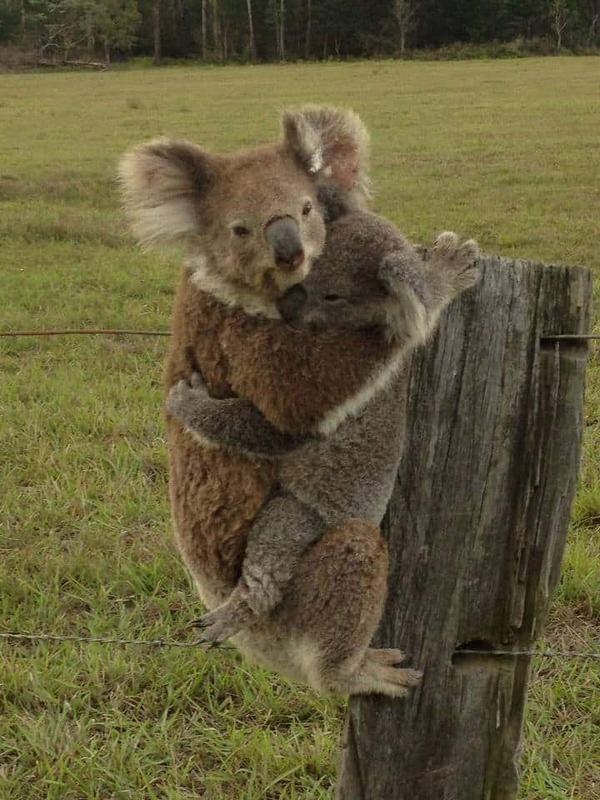 This picture by Ebony Langdon and shared by my Aussie friends, shows 2 dehydrated , scared koalas, but these 2 are SAFE! Unfortunately you cannot say this from all animals living in those areas. Those fires are so NASTY!!!! The competition on FB about the most likes for a picture , a great idea by Antoine Latulippe, is over and won by Andrew Maddocks [Australia]. Indeed a great picture. For more pictures and prize winners, you can look at FB under Glider Forever. Finish over the lake from LakeKeepit. And YES it’s that time of the year again ….flying from Castricum in Holland along the coast line!!! 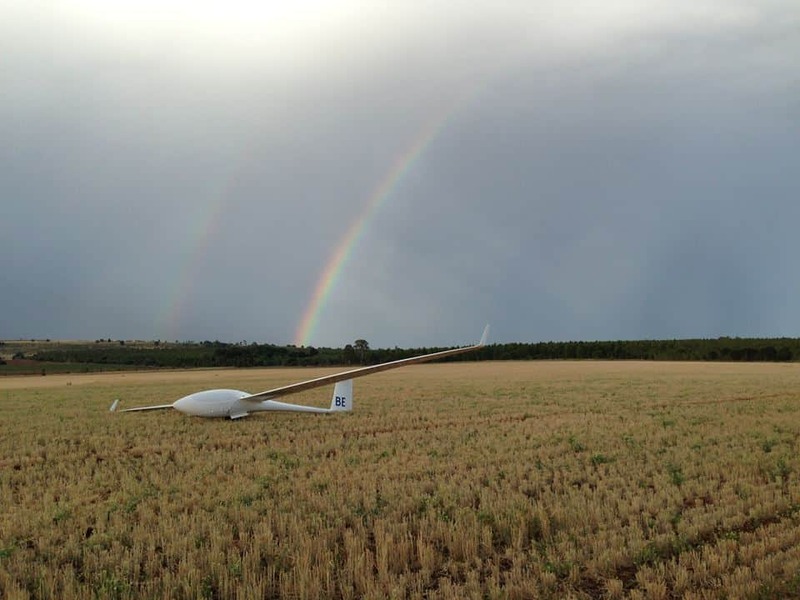 !On the first day 7 glider pilots put their flights on the OLC. Have a look and here is a link to some pictures from this year as shared by zweefportaal. As you can see they kept flying over a distance of even 136 km. in an SZD 51, but also great flights in an LS 6. 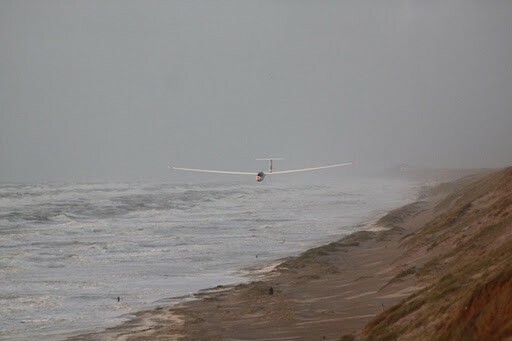 The weather could have been better, they had some showers as well, but all in all this first day of coastal -ridge-soaring was for all a dream come true. Here some pictures from last year I showed you already but they remain “COOL”!!! Another hot item in soaring in Holland is EUROGLIDE 2014 . I will be flown end of June , beginning of July. The first news is on the site now and I am sure that in the first week of registration the race was booked out, with a waiting- list for those who missed out . 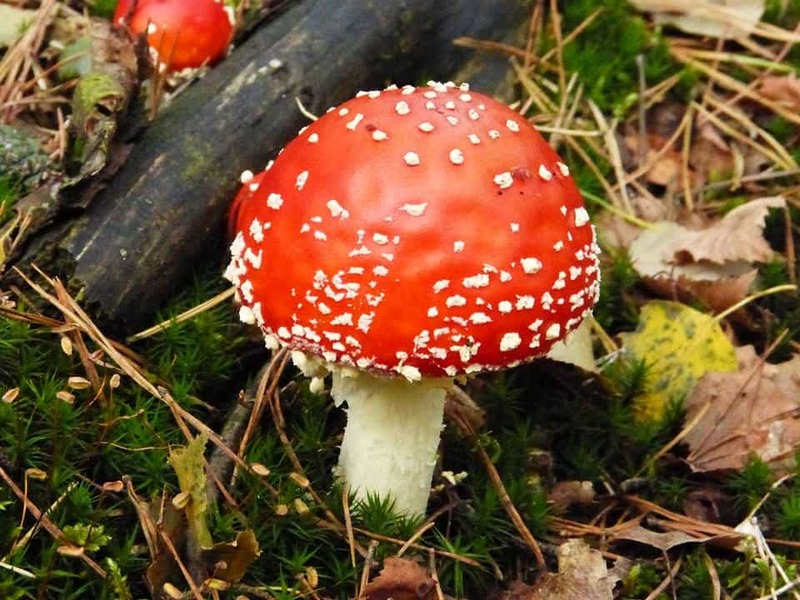 It’s very popular in Holland, Belgium and Germany. A SPECIAL EVENT!!! The 12th edition will be over more than 2000 km. again. On Sunday October 20 2013, one day after Sarah’s birthday Happy Birthday Sarah. 2240 milliard litres of water in 24 hours! Kingaroy! 2240 milliard litres of water, that was the head- line on Monday in most of the Dutch papers AND on TV. Normally this amount falls in the WHOLE month of October; not this time. Last Sunday was a day to only look outside and see how the water created little lakes on the street and garden, for sure not to be on the road. 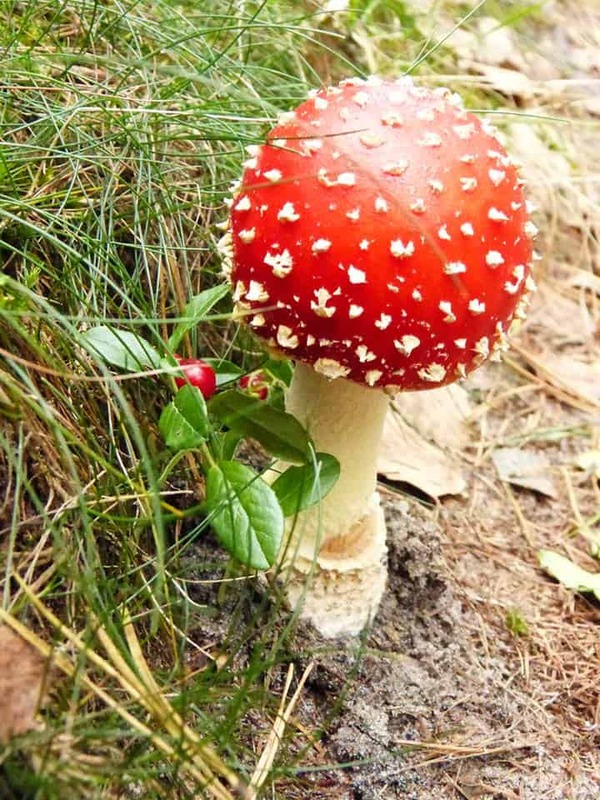 This , even in Holland,not too normal phenomena created problems as flooding of cellars, aquaplaning and damaged tulip bulbs, who are not allowed to be wet longer then 24 hours. We might have expensive tulips next year …as well as potatoes. Part of an historic quay in the heart of Utrecht collapsed. 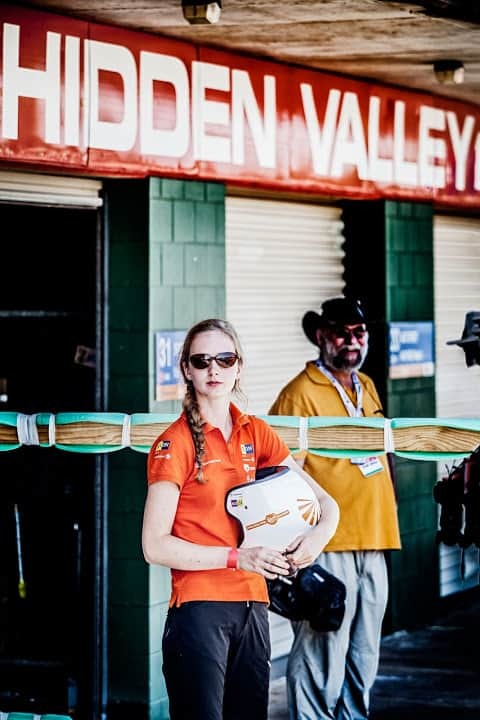 FABULOUS to see that Dutch NUNA 7 racer Annemiek Koers , who is flying the St. Cirrus from Adam , participates in a soaring competition down under as well. Good on her! Sharing two “loves in her life” in one visit !!! She was there anyhow, winning the Solar Challenge, though it is a couple of days driving from Adelaide to Kingaroy. [from West to East] But enough pilots from Gawler to take her with them, when necessary. The practise day was flown by about 35 pilots and with 6 tugs they were all up in a flash. On October 15 it was all about the REAL thing! “All gridded, and weighed, ready to go with first launch at 10.45am. Who did what on day 1??? The 15 m. class is a very interesting class from the 15 participants 10 are potential winners! Lisa Trotter in her ASW 20 A was the best on day 1 winning with a speed of 128 km./h. the 336 km. task. In 18 m. class more or less combined with open, [ same task etc]the winner was Tom Claffey and even not feeling TOO well, he won the 1000 points. Both Tom and Lisa flew the WGC in Uvalde!!! Tom Claffey and Lisa and Peter Trotter, both participating!!! At 12.30 Tom started together with Arne and David [Jansen] both ALSO in Uvalde. Arne finished as runner up, but David unfortunately lost nearly 800 points on this day for his 228 km. I guess that’s 1 potential winner less, though you never know, as David is an excellent pilot. Still about 6 from 16 potential winners in the race. Is n’t that a great beginning of a soaring-pilots-day! But then you still have to fly the distances, as some pilots were worried about the high clouds! In 18m./open it was David Jansen who straight away turned his less good day 1 in to a winning day 2. His speed; 139.9 km./h!!!!!! In St. class all pilots finished!! Best speed for the winner 123.2 km./h. 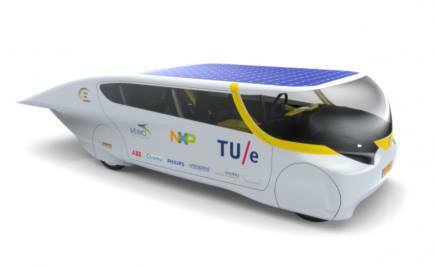 Talking about the World Solar Challenge; in another class the Technical University of Eindhoven won the race!!!! They heard this on Sunday evening in Adelaide. This is all about a FAMILY CAR, called Stella. They stayed ahead of the Aussie and German team!! On November 22 the ZES , the universities soaring club has a symposium in Eindhoven to finish the year of their 50thiest anniversary and one of the team members will talk about this race! 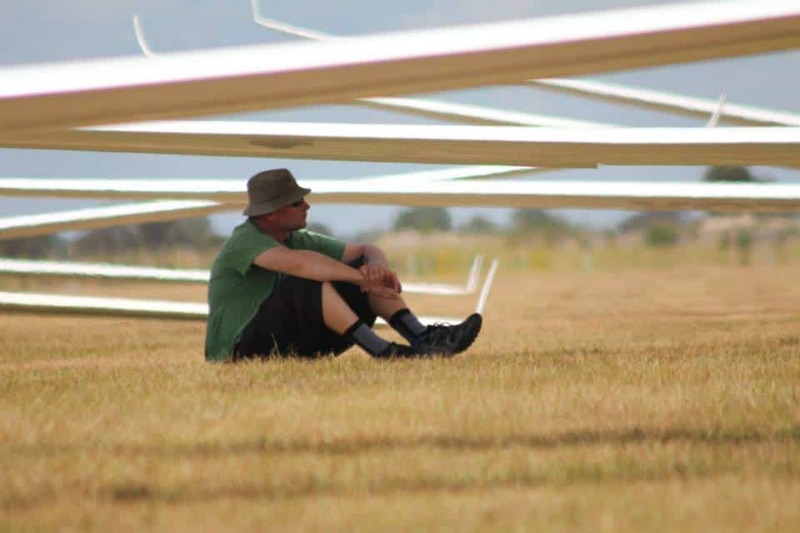 Overseas soaring in NZ [Omarama] had a big day on Sunday with Finnish pilot Jyri Laukkanen flying 836 km. in an LS 6 with winglets!! !Nice speed as well; 142 km./h. The OLC started their new season on October 14 and by now all different winners in all different countries are known. Congratulations to all. Close by it was Alfred Paul Alfers who won for Holland , for Belgium Wim Akkermans who will be a proud daddy before the last OLC – day in 2014 and in Germany it was Mathias Schunk. 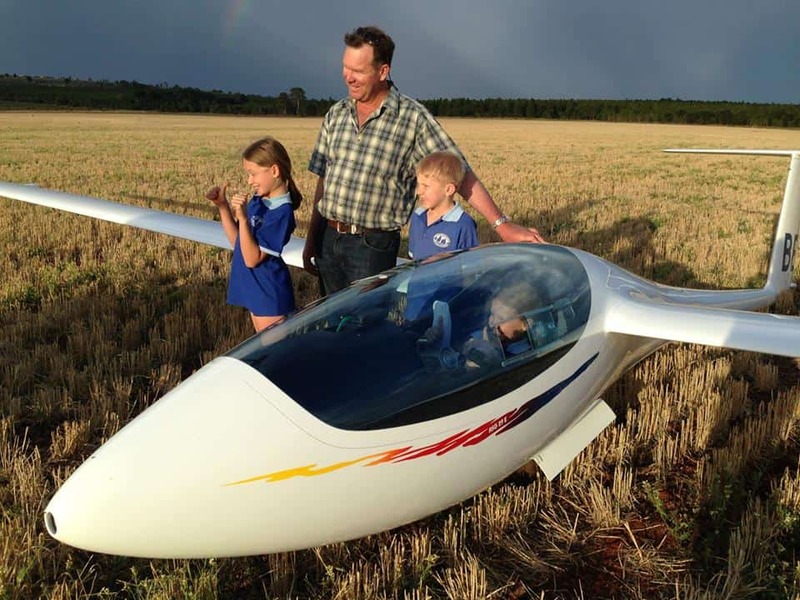 In 2014 the first to add their flights on the WORLDWIDE list, were the pilots from Mount Beauty, where the CFI, Mark Bland had a tough day in Victoria to fly the ASK 21 MI over 169 km.. His mate Craig Collins, who flies in Kingaroy, had an easier day flying in 15 m class the 336 km..
Let’s wait what the new season will bring for all pilots!!! By clicking twice you can read it. Anyhow day 1 from the 2014 season OLC was topped by Ben Loxton who flies the Kingaroy Nationals. 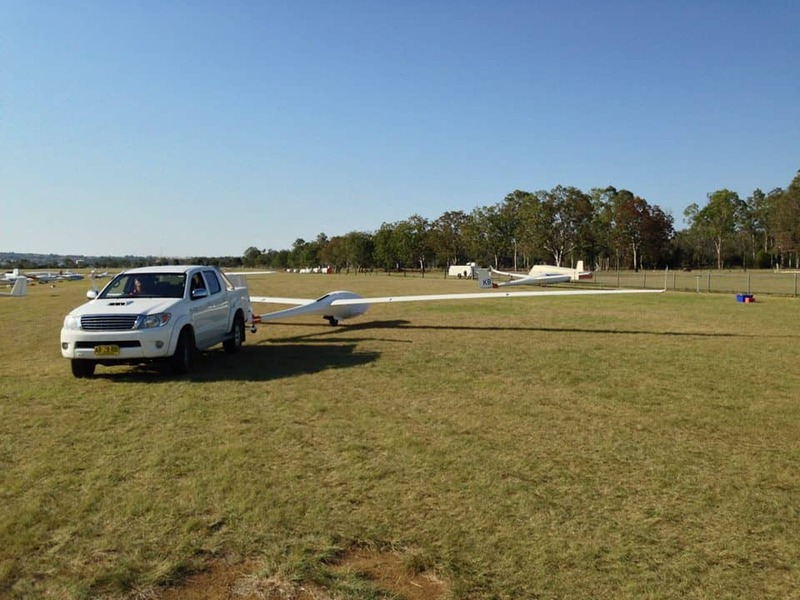 No secret that at the moment the airfield of Kingaroy, which is host for the Nationals for the 3d time, shows the most kilometres flown; at this stage 5.516 with as runner up Mid Atlantic Soaring with 627 km. Ben ; the first “topper” at the OLC 2014. First 1000 km. tasks for the overseas season! NUNA 7 wins for the 5th time , pretty UNIQUE! Women in the news! 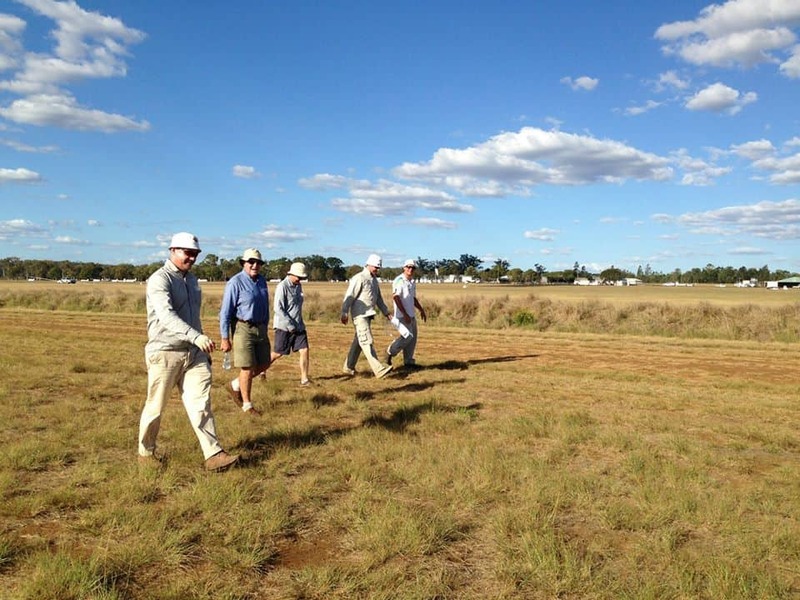 Kingaroy has started! All guests have left and it is more quiet here again, so back to the normal twice-a-week- publishing of the soaring.eu blogs. Otherwise they are getting TOO long and too “old”/out of date and old news is NO NEWS. It’s autumn here, grey and wet. Temperatures dropped from 22 to 11 and you can feel it. We even had on Friday the -coldest- ever -11th- of- October in history with 8.6 dgr.C. Time to change from summer clothes and open shoes, to winter outfits and boots. The Alps normally give a lot of joy certainly for the pilots , but a couple of days ago heavy unexpected snowfall created chaos in those areas. The South of Germany was hit as well. Due to the fact the leaves were not yet from the branches of the trees [the weather was not yet really windy and cold over there] lots of those branches became to heavy and broke off, creating problems for trains and cars. ALL fall – in Holland- pictures in this blog are from ; Ineke Oorthuijs , wife from Sikko Vermeer, well known Dutch glider pilot flying WGC’s and EGC’s in the past and still a very active pilot. Great pictures and typical Dutch. 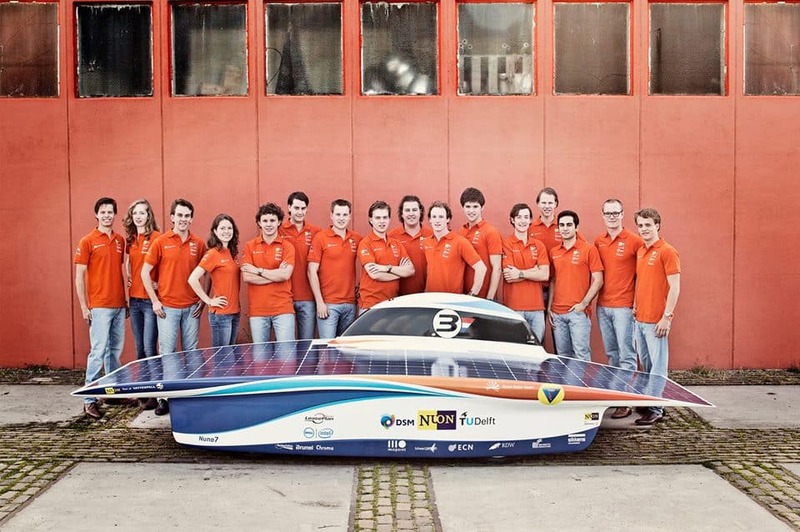 They only needed 5 days to win the World Solar Race over 3000 km. ; the students from the Technical University of Delft!!!! The happy Delft team winning for the 5th time and this time with a brand new model on 4 wheels. TOP!!! UNIQUE!!! Courtesy Hans Peter van Velthoven via NUON sponsor. And the last day was not even a sunny one as they had to cope with rain and wind. Their 5th win, so compliments to the university, the 16 involved students amongst them glider pilot Annemiek as the only female driver in the team and all sponsors and others involved in this success! By the way, the team leader was a young lady as well; Marlies Hak. Team coach was “our” first ever astronaut Wubbo Ockels, who went in Adelaide on the shoulders of the young ones! Wubbo has a pretty bad form of cancer, so all very emotional and pretty special he could be there. Runner up was the University of Japan who won the last 2 races! The team from the University of Delft, with Annemiek 2d to the left and Marlies 4th to the left. 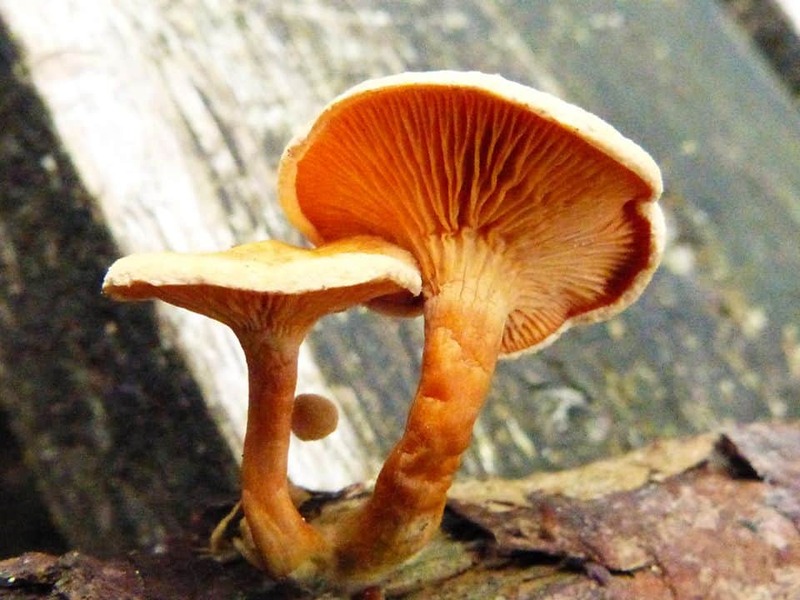 On the last days of the 2013 OLC season I noticed the arrival in Tocumwal, from Stephan Soll. Not only with son Aljoscha, but also his younger brother Niklas is with him this time. Great to see that a young new generation starts to fly where their dad flew so many LONG and happy flights for ages. Stephan was already in Toc. in the 80thies!!! He has an LS 4 stationed at the Toc airport and came/comes back every year sometimes twice to enjoy down-under-soaring in Tocumwal. 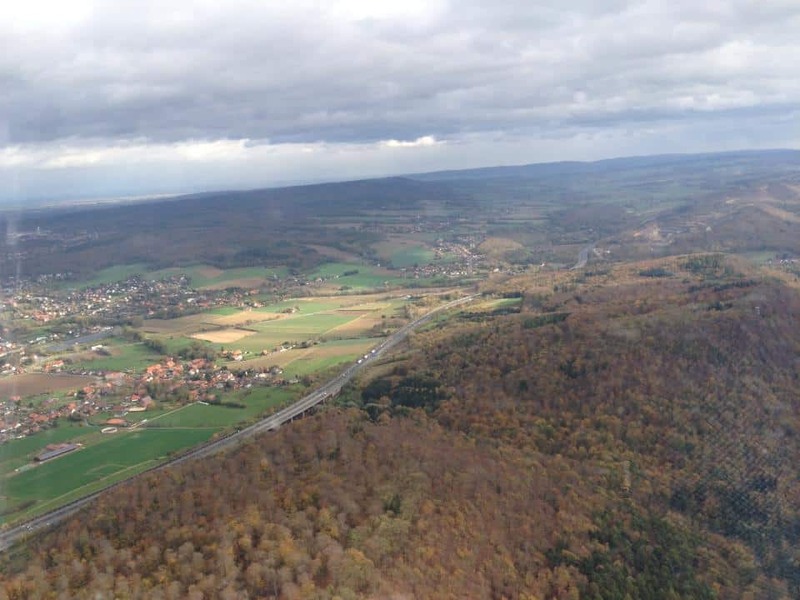 In the beginning of October Austrian pilot Hans Peter Ueblacker tasted a bit of soaring in Toc as well. The last week of this OLC season was and interesting one. 1.053 km for John Williams from the wave resort Kinross in Scotland [UK] in a 20 m. ANTARES!!! GOOD on him. He saw the East and the West Coast , have a look at his flight on 10-10-2013. In the same week ONE day later, 2x a 1000 from South Africa!!! The Jonker brothers had some good flights from nearly 800 km. from Potchef in their JS 1 and Wayne Schmidt a fantastic flight in his ASW 20 from 718 km. [513 FAI] Yes indeed the overseas season really started! Even better the first 1000 km flights have been flown in SA on 11-10-2013.Here is the flight from Oscars together with Pieter!!!! Not just a flight but a set FAI 1000 km. TRIANGLE!!!! And here is part of the news shared by Jonker Sailplanes! “ The first two 1000km flights for the season in South Africa were sucessfully completed today by Oscar Goudriaan and Pieter Nouwens. 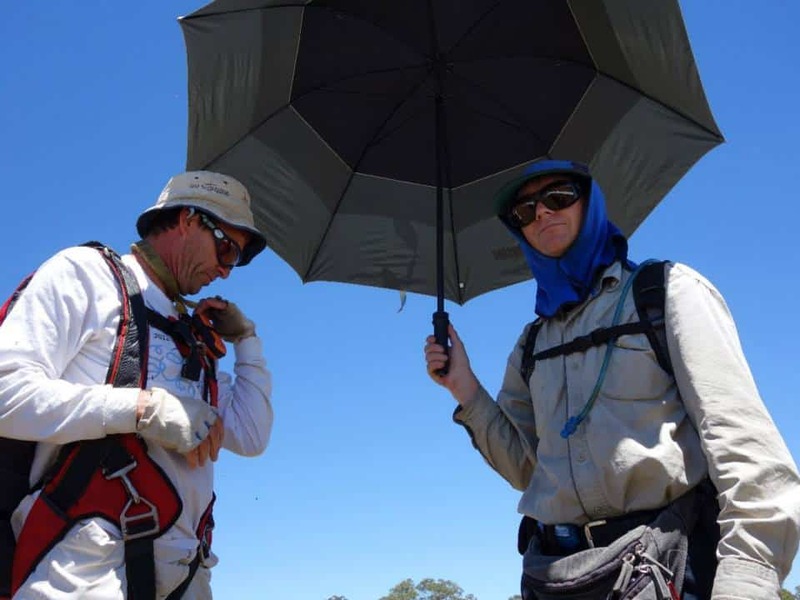 Oscar and Peter declared a FAI triangle from Potchefstroom with turnpoints Delportshoop and Vorstershoop – a task of well over 1050km. They launched just after 10h30 and set off at 1000m AGL fulfilling the FAI requirements. The weather was not as good as expected, with only a few 4m/s thermals around the task. The last turnpoint was only rounded at 16h00, with still almost 400km to go. 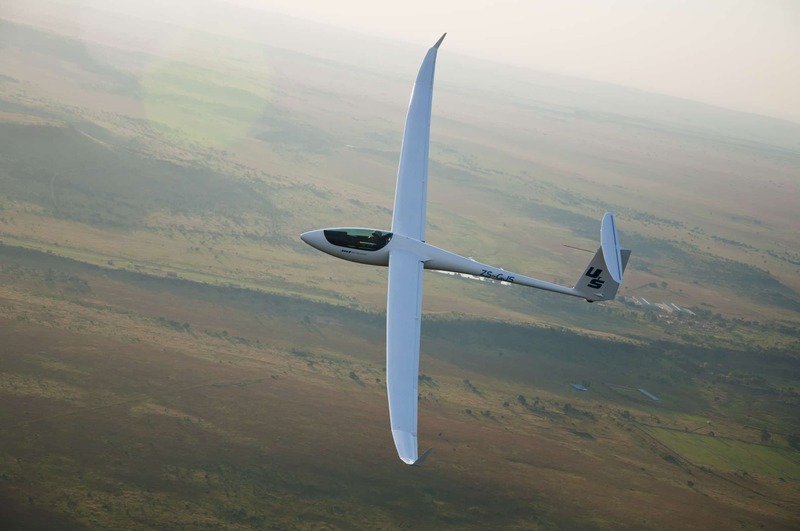 Jonker Sailplanes saluuts you – these flights were the 1st declared 1000km fligths in the JS1-C 21m! Well done! Congratulations, great effort so early in the season. 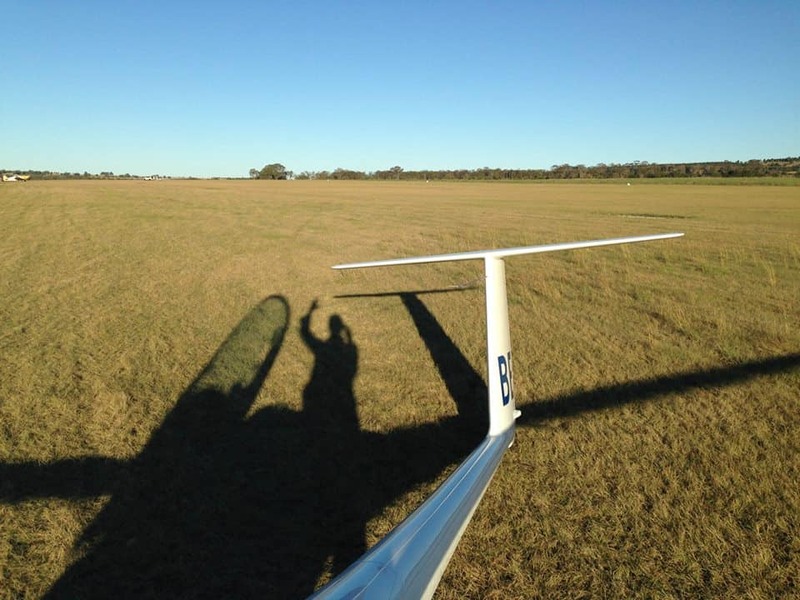 WOMEN IN GLIDING AUSTRALIA…..just to let you know! 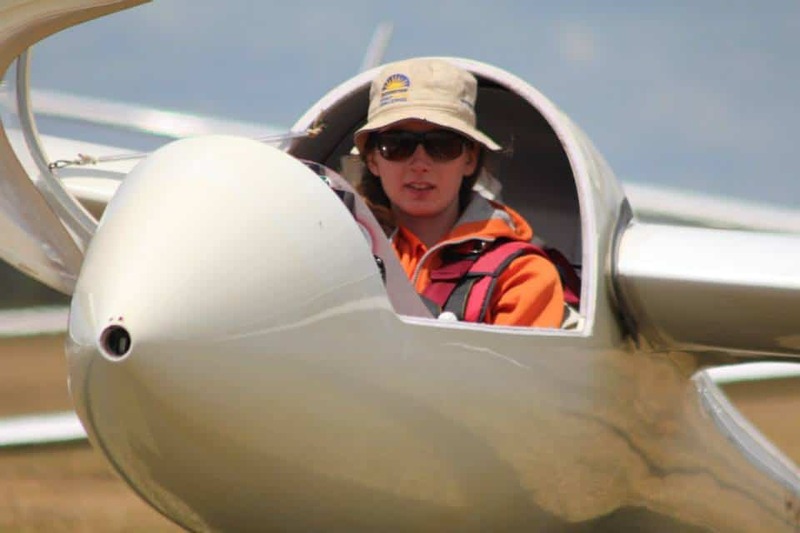 And more women in the news last week; Here is a link to Sarah Kelman’s story about “Gliders might improve pilots’ upset flying skills”. Sarah once was WWGC champion but I also remember she had a pretty nasty incident in Rieti one day with her glider . You can also read the article in SOARINGCAFE. 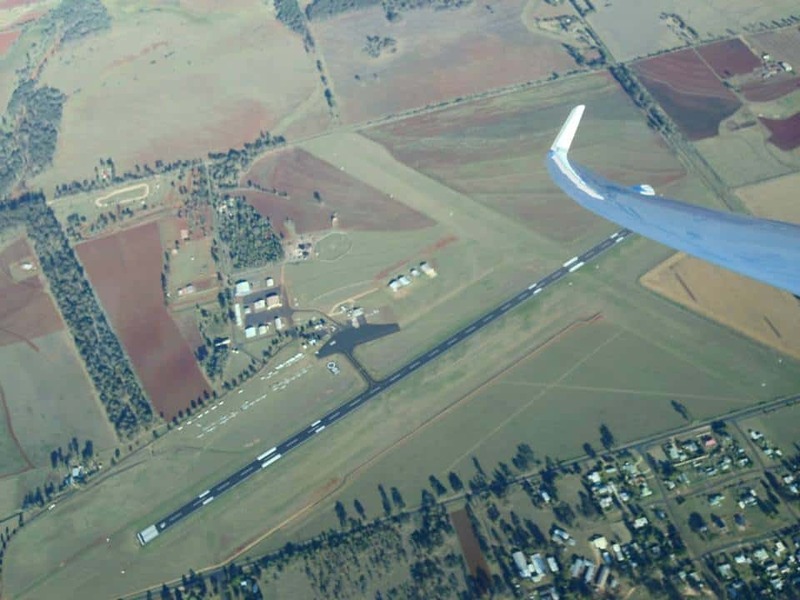 I wrote you about flying in Brasil last week, it seems that Pepe who flew in the past many years with us in Tocumwal and later in Corowa loves Brasil as a place-to-go-to as well. I noticed nice flights from Luis Ed. Magalhaes on day 4 of the Brasil Nationals. Gugui Pernhagen , who runs Bahia Gliding, is one of the competitors and they had their last day on yesterday. “Bahia Gliding is a Glider Resort in Luís Eduardo Magalhães City, west Side of Bahia State! Bahia is in North east Brazil. This place is Probably the Best Placê To Sailplanes in South América“. I asked some more info and will receive that from Gugui, after the comps are finished. Day 5 at LEM, was a good one with flights up to over 400 km. Pepe flew the last 3 days with Marco Junqueira in the Nimbus 3D instead of the ASH 31. Day 6 even had up to nearly 600 km. flights. Women win PRIZES; Malala did not win the Nobel Prize for peace as , [ the in Holland -The Hague situated OPCW, an organisation fighting chemical weapons won the prize] they said she was too young and they were afraid of her well being, but she won the prestigious European Sacharov prize. She also got an invitation to visit Obama. In literature, Canadian short story novelist Alice Munro won the Nobel prize. In 2009 she won already the prestigious Man Booker International Prize . Women in Formula 1; a more sad story as I read that the 33 year old formula 1 test driver from Spain, Maria de Villota, driving for team Marussia, is found dead in her hotel room. Tragic was her race on the circuit of Duxford last year where she crashed heavily and was badly injured. For a while she was in coma and she lost one of her eyes. Her book “Life is a present” was supposed to be presented tomorrow. Poor parents [ dad was a racer as well!] and family and friends. It looks her death was a result of the accident last year. Today her Formula 1 mates kept a 1 minute silence tribute for her in Japan. A great race by the way! Maria as shared on internet. Generous women; In the USA a “nice” [understatement] lady donated 100 million dollar to her former school!! !As a property developer she earns enough money to make the school REALLY happy!!! Good on her! I was looking forward to a nice friendly fight in Kingaroy between Bruce Taylor and Arne Boye Möller , but,…it’s not going to happen. Bruce is not flying the 53 Australian Multi Class Nationals, but was so kind to bring his car and Brad Edwards ASG 29 to Kingaroy for Arne. That’s what we did in the past as well. We swapped our glider and car for somebody in the Aussie team in Europe for one to fly in Australia. Too easy! The comps start tomorrow on Monday October 14 with an official practise day and continue till October 25. During free practise they had a blue day according to Mandy, who regularly is the TC for Australia at WGC’s and a windy one. “Today was another blue day with climbs to 6000’ AMSL or 4500’ AGL…. on Sunday October 13 2013. OLC 2013! 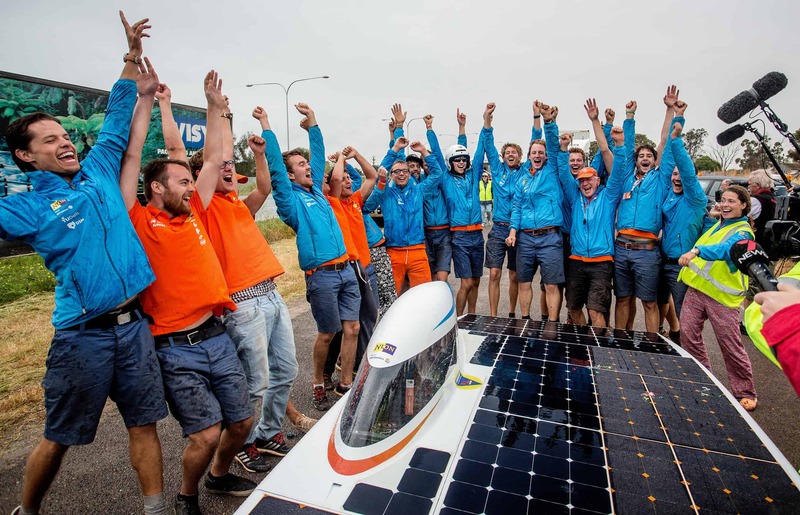 Dutch female glider pilot races in SOLAR CHALLENGE! 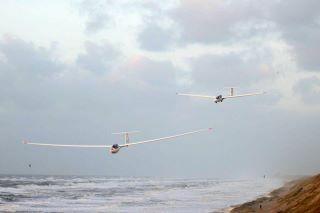 Bahia Gliding in Brasil!! Love great pictures and here is one to start the blog with, shared by Emmo Koetje who flew with Jeppe over Leeuwarden in Friesland [the North of Holland] . We were blessed in the beginning of October, with nice weather, with temperatures up to 22 dgr. not bad for fall.But in a couple of days we have to do with 11 and wind and rain! The overseas areas show already a good beginning of the season. 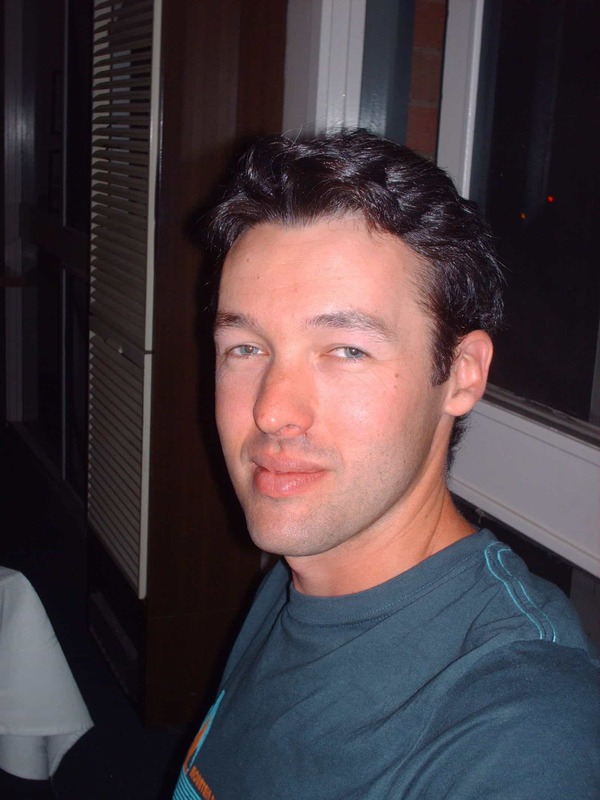 In New Zealand , from Springfield Max Stevens flew last Sunday nearly 600 km. [594 km.] in a Discus!!! Orient in South Africa had flights up to 603 km. in a Ventus 2CM / 18m.One day earlier a distance of 713 [705 FAI] was flown there. Only a few days and the OLC will change to 2014,when I am correct on October 11. CLUB; the Dutch glider pilots from the Gelderse Zweefvlieg Club. Good on them!! 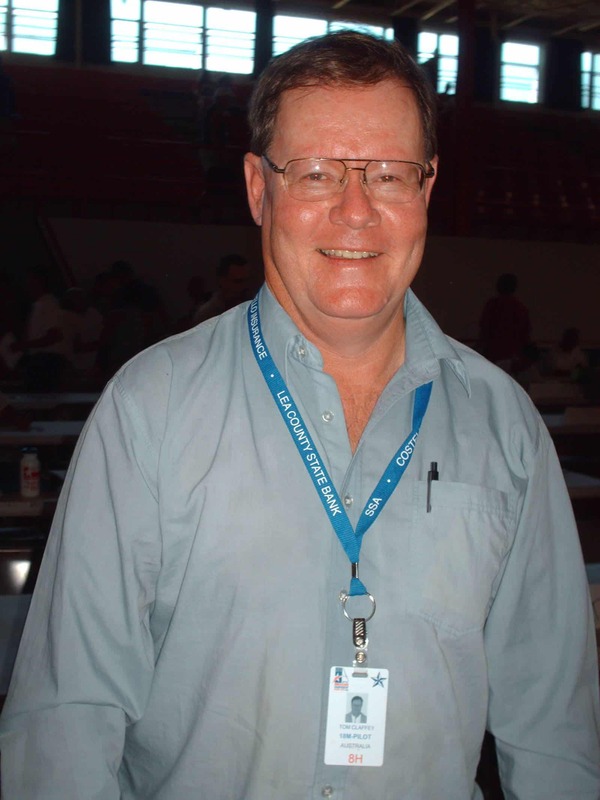 OLC CHAMPION; who else than Jim Payne. BEST CLUB; Again the Gelderse Zweegvliegclub!!!!!! !Something to be proud of!!!! Around 12.000 points more than the Gliding Club of Victoria who is a great runner up. 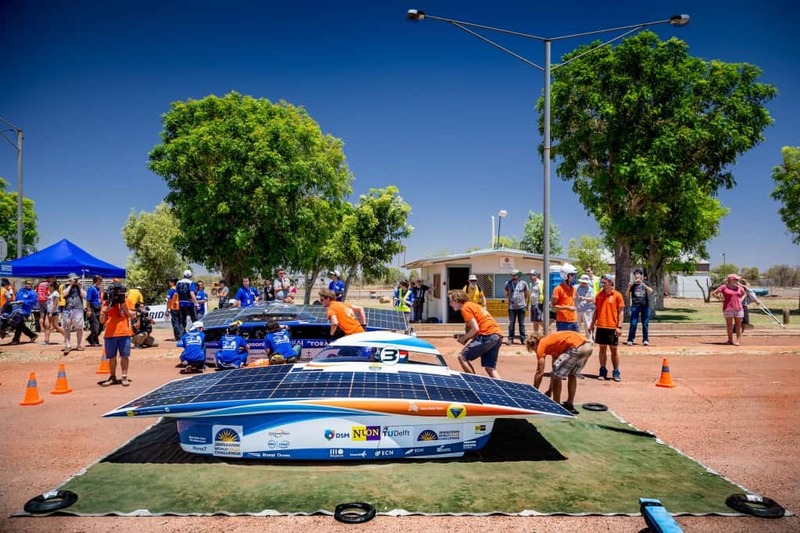 It ‘s that time of the year again; THE SOLAR race in cars, the WORLD SOLAR CHALLENGE! As always they drive through the Australian desert on sun-energy, from Darwin to Adelaide. 38 Teams from all over the world are spending there time over there and follow the cars over 3000 km.!!!! The first day was won by Team Holland from the famous technical university of Delft. It’s there 7th participation and they won already 4 of them. They started on day 1, as number 13 [!!??] in their NUNA 7, but overtook the other drivers in temperatures of 50 dgr. C. So pretty tough on the drivers, as these cars are not made for comfort but for speed by good aerodynamics. This year the Delft University opted for a car with 4 wheels instead of 3, like last time. The Nuna 7, sponsored amongst others by NUON,[I get my electricity from them] as shared on FB. The Delft student team building this car consists of 15 members and one of the drivers is a girl and a glider pilot as well; Annemiek Koers. As Delft-student she was involved in the aerodynamics from this car. Keep that name in mind ,as she is a keen and good cross country/competition pilot as well. She was even selected by the Dutch NAC, to fly in Issoudun at the WWGC , but opted for her study and project. For sure whenever she has time she will fly at the WORLDS!!! After 3 days the Dutch are still upfront , 80 km. ahead of the Japanese team, with the name TOKAI. “The State comps will be held at Gawler from Thu 26Dec (practice day) through to Tue 31st Dec. Great practice period for the club class nationals, [held in Waikirie in the beginning of January] experience the great Flinders ranges during the main 1000km period out of Gawler. 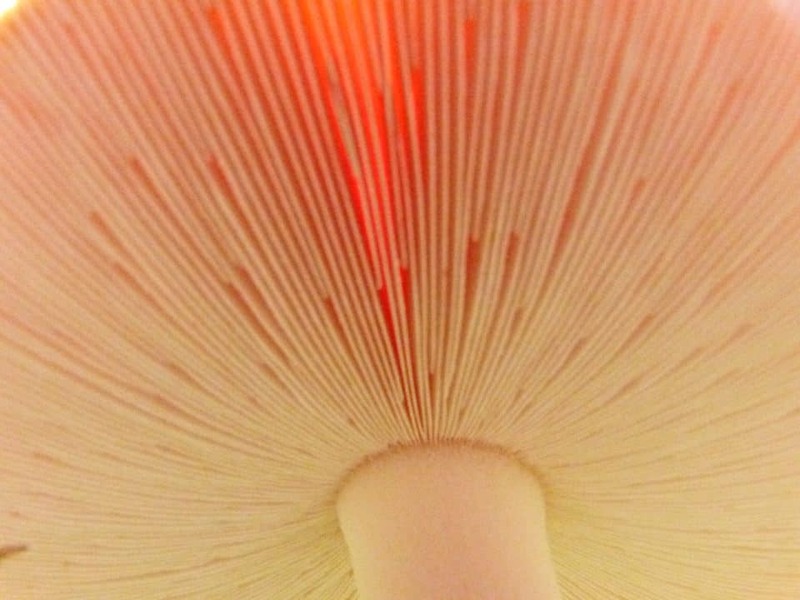 Details and entry through our comp blog spot. I have written a few times about LIVNO, but there are more upcoming interesting new glider fields as I heard; Bahia gliding in Brasil is one. “This is a video record of my second trip to Bahia Gliding in September of 2013. 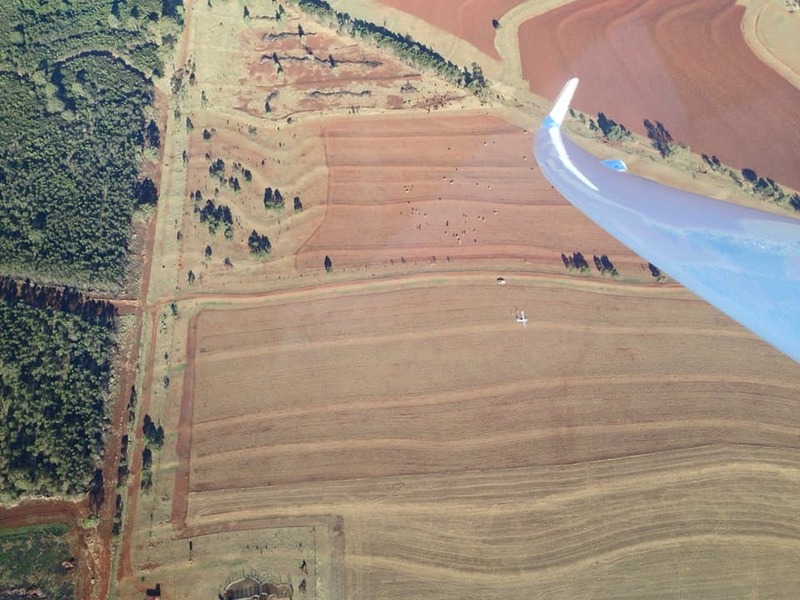 Bahia Gliding is up-and-coming gliding resort located just outside of Luís Eduardo Magalhães in the Bahia province of Brazil. 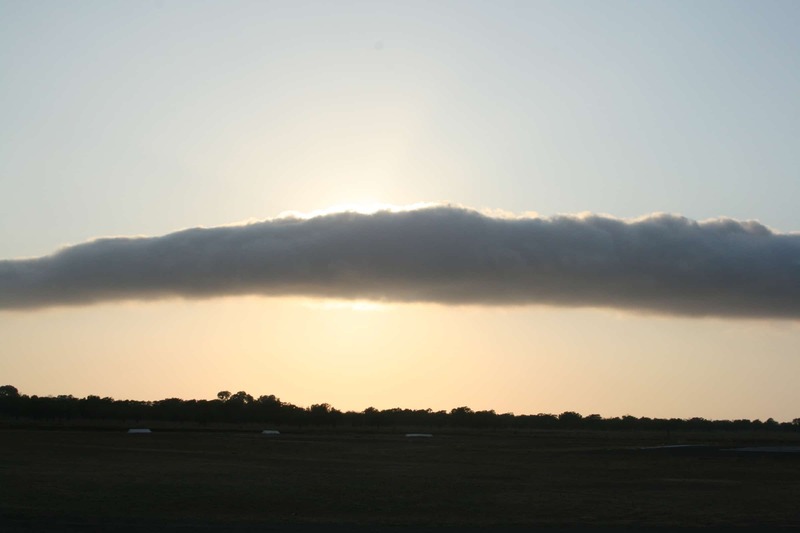 The coordinates of the Bahia Gliding runway are 12°10’7.02″S, 45°49’4.98″W. It is located on the “Alcatraz” farm. 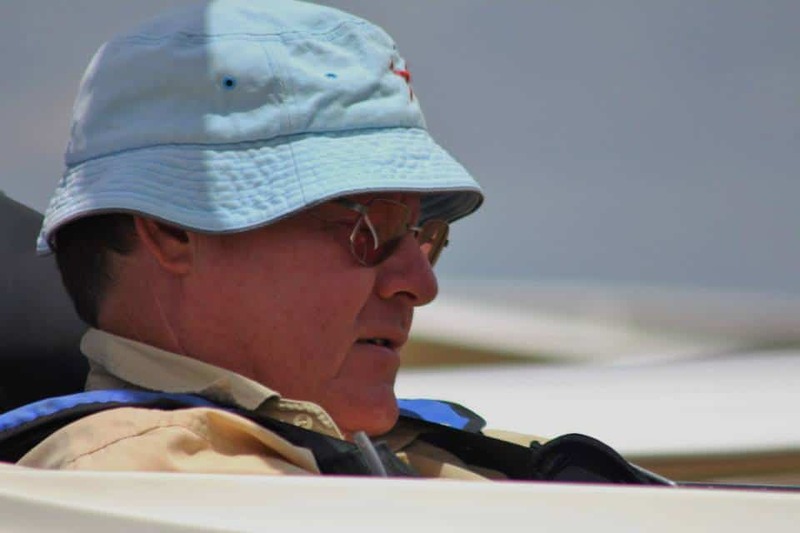 The owner/operator and the driving force behind the Bahia Gliding resort is my very good friend Guilherme Purnhagen – Gugui. His plans for the next season are very ambitious: to make improvements to the runway, the hangar and other facilities at the airfield, to acquire a towplane and several additional gliders for rent and to overhaul the Tost winch. The weather at Bahia between the months of May and October is good or great, with over 90% of soarable days, which in Bahia means XC flights of 300 km or more. 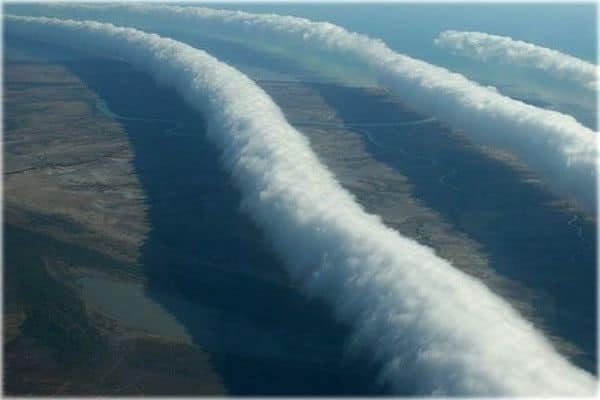 Late august to Early October is the prime time, with the cloud bases reaching and surpassing 4000 meters ASL, (3,300 meters AGL). Thank you to Art, who pointed this out to me! Branco flew the last WGC in Chaves [representing Serbia] and Guilherme did so as well ,representing Brazil. Out of all of this , there was the invitation from Gugui asking Branco to fly at his resort. Great flights were the result as an 809 km. flight in a St. Jantar on September 22. With several he topped the OLC list. You are up to date, enjoy the week and CU on Sunday “in the” Soaringcafe and on Wednesday again here. Potchef! ALL about the UK National Ladder!!!! News about NEWS! On Wednesday last week, the 18 m. pilots in Potchef had day 3; a 2 hour AAT . On the day before , the 523.5 km. flight , the Jonker brothers “were in a hurry” and raced over the circuit with 138.4 km. [Uys] and 136.6 km./h. [Attie] Not bad! The 2 hour AAT was won by Oscar who had a bad first day only gaining 42 points whilst Uys had 771. Day 4 was with a 1.30 AAT even more challenging, but not for Oscar who won again, but it did not deliver him lot’s of points only 489. He flew in time 1.26 a distance of 184.5 km. with a speed of 123 km./h. After 5 days ,[ they had 259 km. on the last day ] the Jonker brothers were proudly on top with a difference of more than 200 points for Attie and nearly 300 for Uys. 4 Days in club class and only 3 in 15 m., but it is still very early in spring over there. By the way Oscar and Laurens were on spot 7 and 6. Winner in 18 m. class; Uys Jonker. 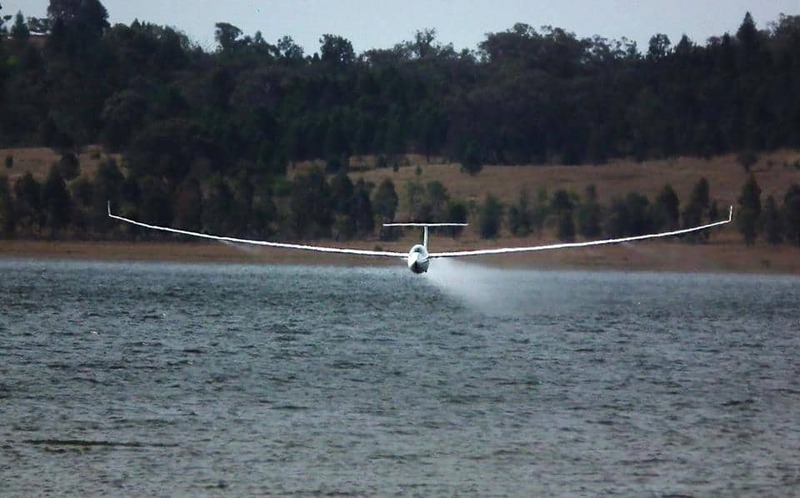 “Narromine Gliding Club are hosting the 20 Metre 2 Seat Class National Gliding Championships from Thursday 28 November 2013 to Friday 6 December 2013 inclusive, with registration available from Wednesday 27 November. 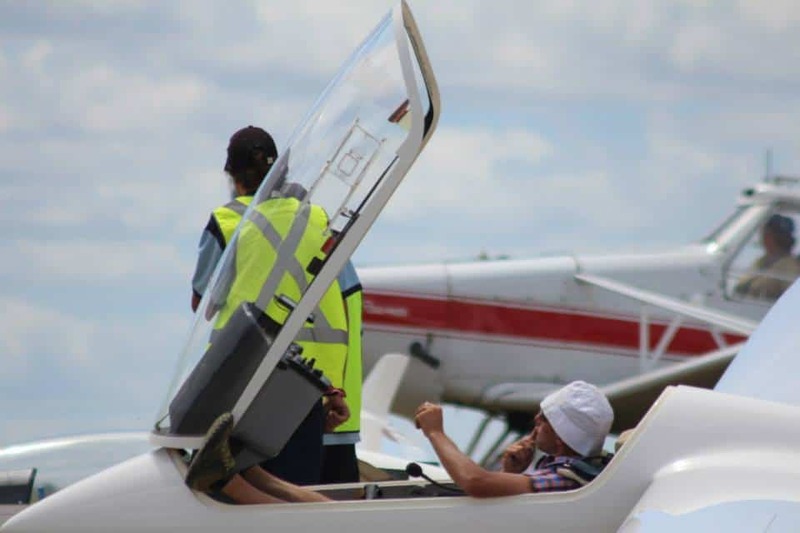 This is the second time this event has been held at Narromine Gliding Club, it was a great success last time and promises even better weather this time around. It is a Stand Alone National Championship and the winners are eligible for selection to compete at the World 20m 2 Seat Class Championships. Duo Discus, DG1000 (and variants), Arcus and any other 20 metre 2 seat gliders are eligible for entry. 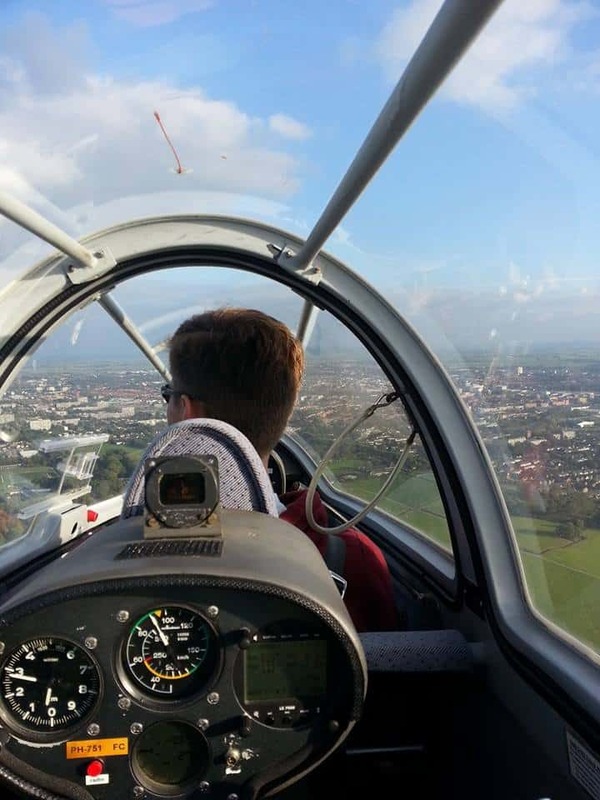 There must be a crew of 2 and so this is a great opportunity to put an experienced pilot in the back seat of your club two seater and try your hand at competition flying. It is a great and fun competition. For information and competition entry simply click on the following link (or copy/paste it into your browser) to go direct to the Competition website. For all those who want to practice in Australia certainly for the [European/USA ] young ones flying the JWGC over there in 2015, this is a great opportunity. I hear you say; MONEY! Maybe you can fly in the back with the owner of such a glider, he will be experienced and show you the area, just try and contact them !!! Mind you ; it overlaps the tradional annual Narromine Regatta as the schedule is just very full, but Beryl “chose to clash with her own regatta rather than upset anyone else.”. These are the words from by now famous kilometre eater Jim Payne. He took the Perlan Project DG 1001M for a flight with Mitch Polinsky over 1.113 km from Minden in Nevada on Tuesday the 24th. This week in Cooma , at the Bunyan Airfields [Victoria in Australia] a camp was attended by 37 skilled pilots in high altitude wave soaring. As you know Australia is big, but from all parts pilots arrived for this by now 25th event. Some fly in and it takes sometimes days to get to Cooma. 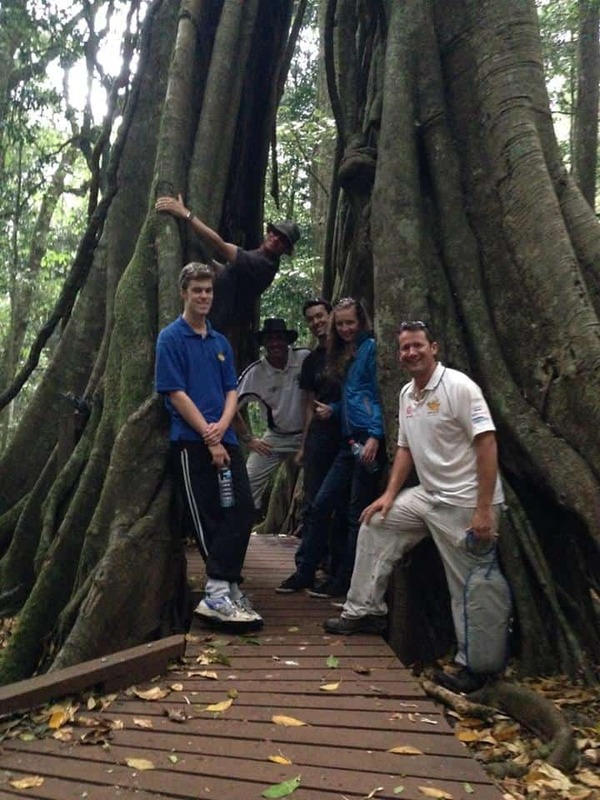 The Fergussons, Kerrie and Stuart invite already NOW everybody for next year’s camp. “What a season, What a camp. One pilot flew his Gold Height Gain in the morning and his Diamond Height Gain the same day in the afternoon. The Morning Glory up North, is still active as well, that’s a different way of wave flying but for those who love it optimal FUN. Morning Glory as seen by Jo Pocklington last year. Some might not have heard about it, I did, but have to admit do not look too often. But now I am going to change that. From Roy I got the next info and it is good to share it with you. It’s about the UK National ladder! I thought I would like to acquaint readers with some information and thoughts on the UK National Ladder. While the OLC is effectively a post-flight analysis so you can continue the increase your score right to the end of the flight, the Ladder gives much more credit for declaring your flight turning points in advance of take-off and also credits speed points into your score. In the UK, it is difficult to compete with continental Europe for big flights. To give you a perspective, only two 1000 km flights in thermals have been completed in the UK, one by Chris Rollings in an ASH 25 and one by Russell Cheetham in an ASW22, so both Open Class. 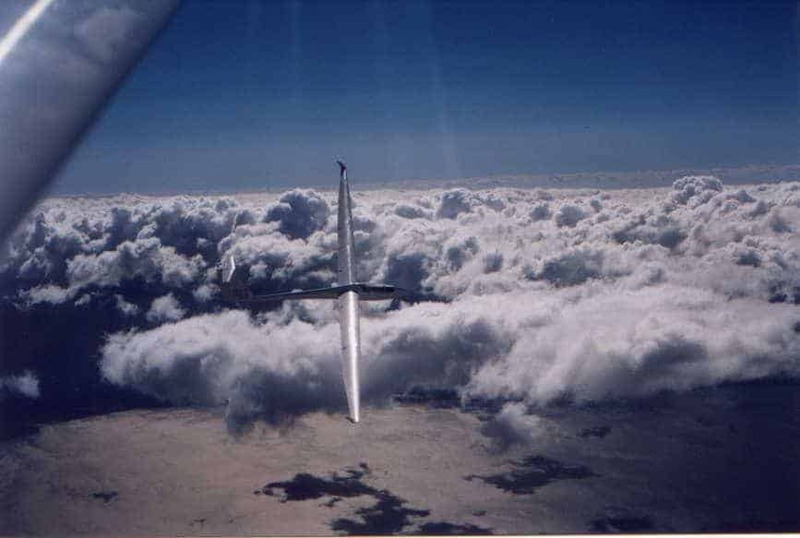 No one has yet completed 1000km in thermals, in an 18m or lower class glider, in the UK. With the emphasis on better scores for FAI triangles, here is the largest triangle ever flown in the UK, some 823km that also in the Open Class EB28. So you can a 1000km triangle such as those flown in Germany or Spain would be tricky in the UK. In fact John’s UK official distance record is 1108km but really over 1200km OLC. There is a friendly rivalry between us ’flat earth’ southern pilots who try to fly big triangles in thermals and the Scots like John Williams. In the south we have the advantage that big triangles are possible, in the north, longer wave flights are the norm, limited only by daylight but mostly cross-wind so lower scoring with multiple turn-points. Now the thermal soaring season, at least for 500km+ flights is over in the UK, we have the usual wait while we see if the Scots can overhaul us in the peak Autumn wave season until we learn if Patrick and I will have to share the trophy, awarded at the BGA Conference next March. Thanks Roy for sharing this with us! In Lake Keepit they started soaring-news as well. Good on them. Here are the links to read it. 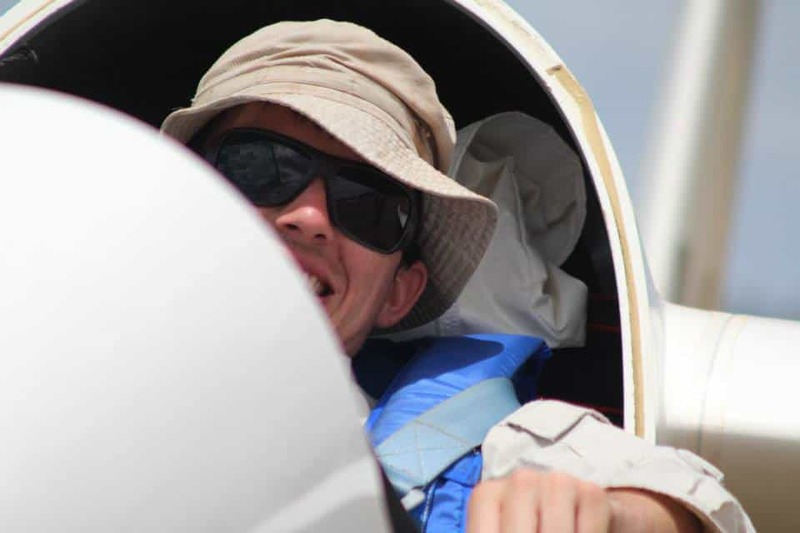 Harry Medlicott: Improving Glider Safety. Peter Krygger: Rough intimacy at Sisteron. Just saw again that great picture from Andrew Maddocks flying over the Lake from Lake Keepit. Here it is again;Just because it is so nice and as a tribute to the organisers of the news letter. on Wednesday October 2 2013.One day after Jo’s birthday , happy birthday Jo! Jo shares a lot of Aussie news with me, thanks for that!